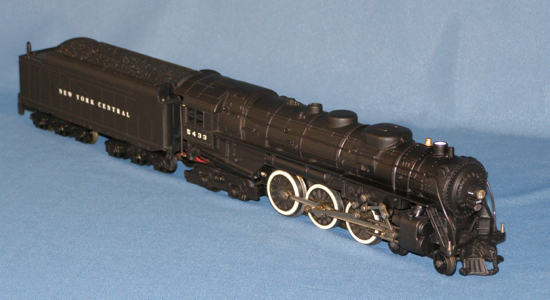 One of my favorite locomotives (among many) is the New York Central 4-6-4 Hudson. 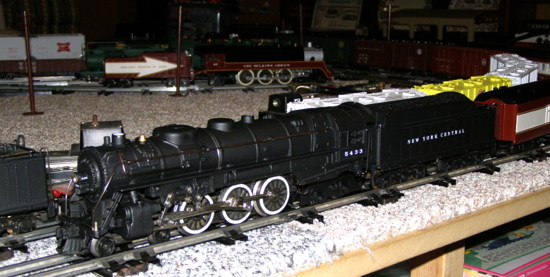 I enjoy running American Flyer trains but wanted to operate something besides the usual five Gilbert die-cast steam engines (with the four-piece boilers: PRR K-5, Reading Atlantic, NYC Hudson, UP Northern and the NKP 0-8-0). This desire is what started me on my various projects to create more locomotives, based on the Gilbert line. Most of my projects are of locomotives that look similar to something Gilbert would have made. However, after doing a number of these I still wanted to run the Hudson. So I acquired a basket case locomotive and proceeded to paint it up and apply authentic NYC lettering and numbers. 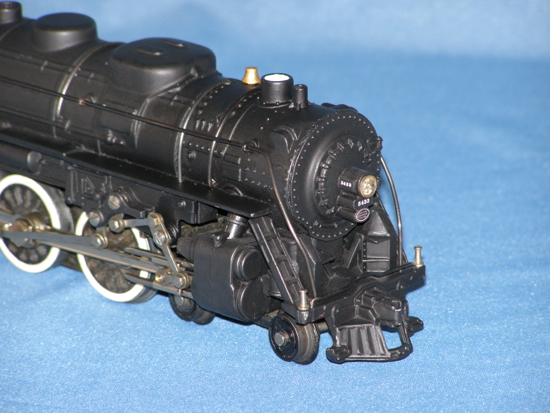 This locomotive, like the 4-8-2 Mohawk locomotive I did, also has the NYC logo on the boiler front. 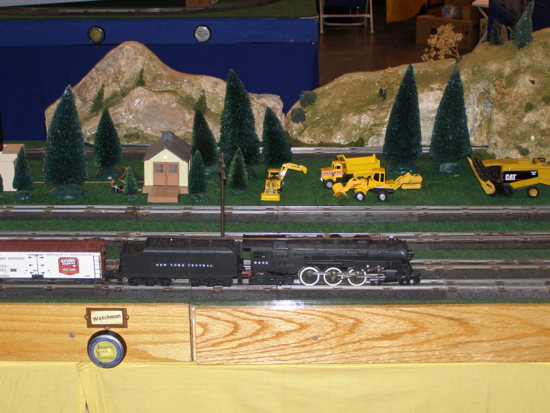 In addition to the painting and lettering I converted the locomotive to use a can motor and electronic e-unit. My locomotives have a shortened locomotive to tender drawbar to be more realistic. Not as short as I would like but just enough to allow the engine to negotiate the tight toy train curves found on most layouts. 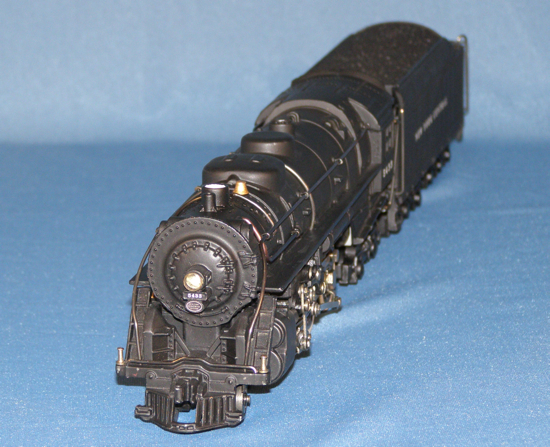 It has turned out to be a good runner and has made several appearances on the ACSG Tidewater Division's layout as well as other members' layouts. 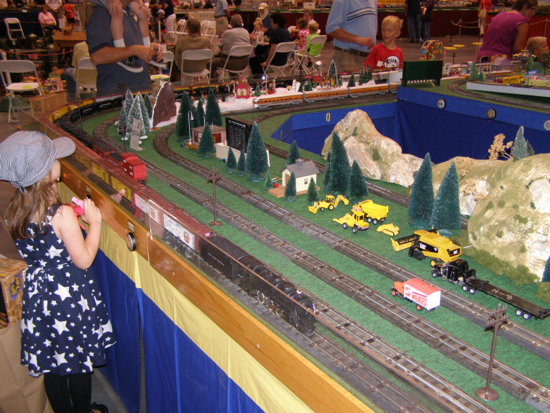 The custom Hudson passing a young enthusiast, NMRA show, Sept 15, 2012. The custom Hudson at the Virginia Beach NMRA show, Sept 15, 2012. 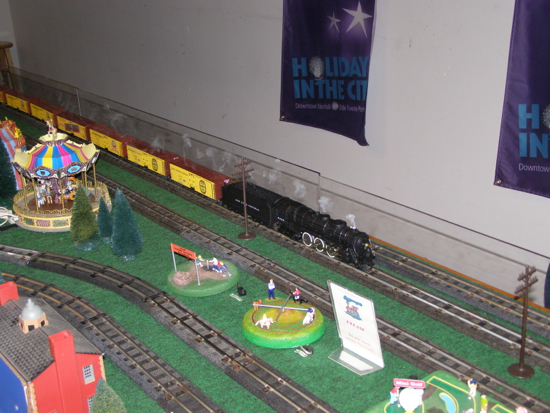 The Hudson pulls the beer refeers, ACSG Tidewater Division layout at the Downtown Norfolk show, December 2011.